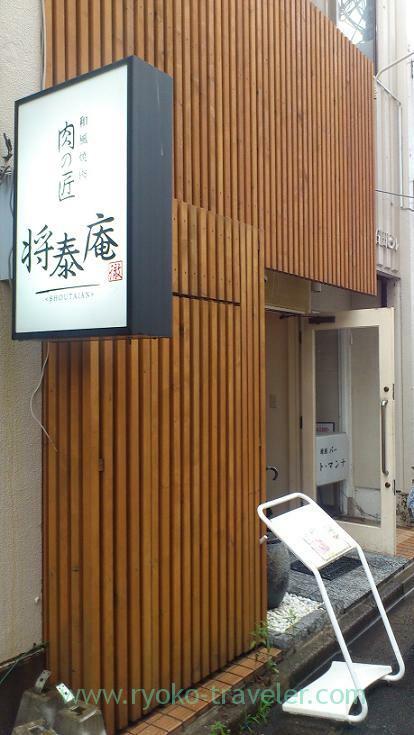 I have known that there is a famous yakiniku restaurant as serving wagyu salisbury steak at lunchtime. And finally I went there with my friend the other day. We took a reservation and went there. At first, I didn’t think we need to have a reservation. But it was good for us to have a reservation in advance. 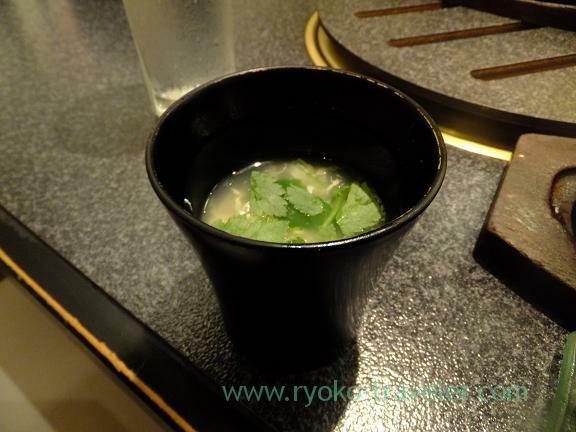 The restaurant don’t have much seats and several of groups came into the restaurant successively. 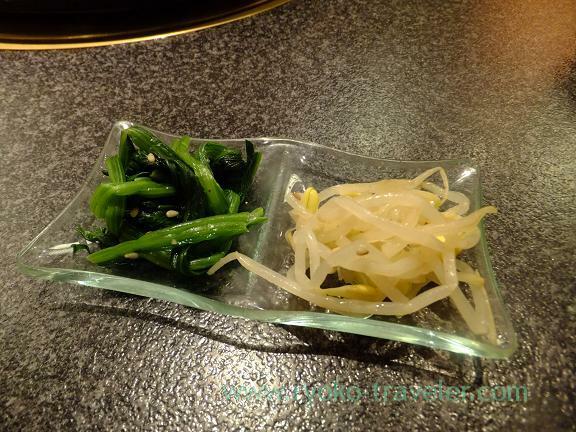 The restaurant also serve yakiniku at luchtime. But our aim was eating salisbury steak ! There are three degrees by weight. Steak, rice, namul and soup. The steak have plenty of gravy in it. Soooo juicy ! The soup was tasty, too. My friend ordered 400g steak ! Wow ! Terrific gravy ! and more rare than my 200g steak ! I tasted it a bit. So yummy ! 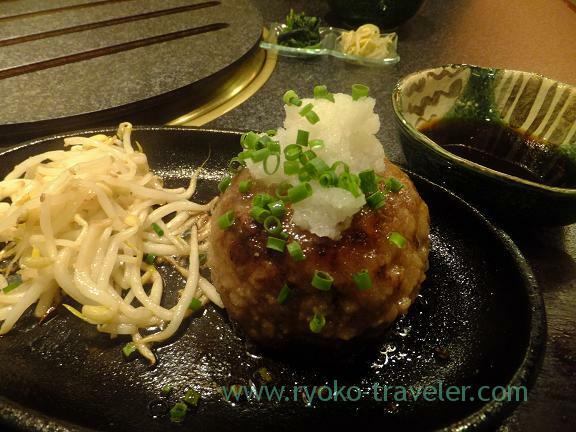 By the way, we Japanese call salisbury steak “Hamburg steak”. 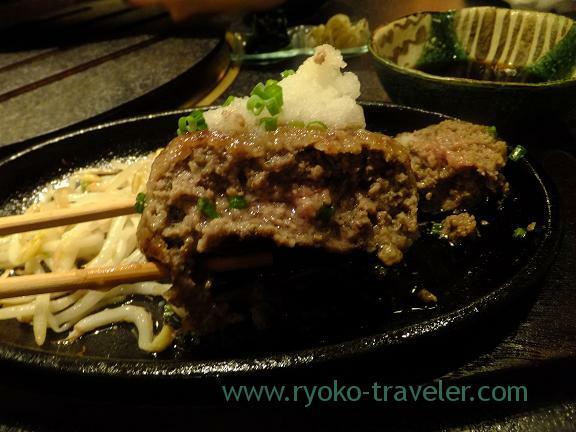 At first, before I write this post, I thought the words “Hamburg steak” in English is as same as Japanese. But I was wrong. I understood it is called salisbury steak or hamburger steak in English. 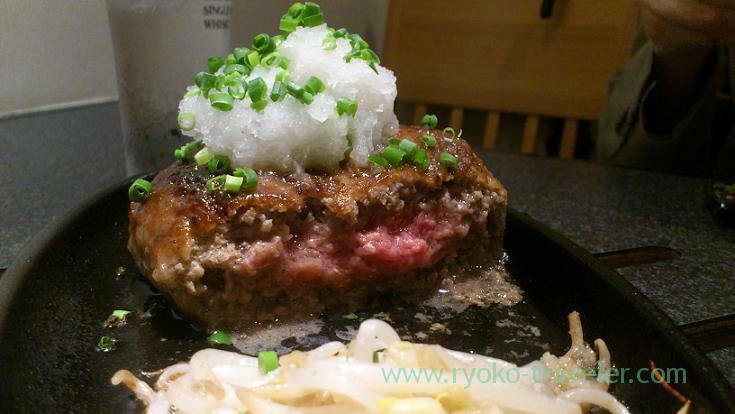 I’ve had hamburger steak when I was in Japan, but never with wagyu. It sounds so delicious!